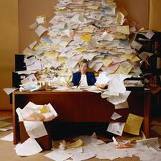 Snowed under with paperwork ? We offer additional services, to free up more of your time to concentrate on your business. See below for a list of some of the additional services which we provide, the list is not exhaustive and if there is a service you require not listed; please do not hesitate to contact us. We also offer quality business advice to aid in the running of your business; along with expert tax advice to ensure that you keep as much of your profit as possible. CIS, End of year returns, P11d, RTI e-filing, digital certificates. RTI Compliance, training and advice. Auto enrolment compliance and advice. Expert advice on compliance for your practice to ensure that your systems and records are in accordance with the Solicitors Accounting Rules. Review of Accountants Reports and Reporting Accountants Checklists and advice on how to reduce future rule breaches. * IT Advice. Accounting software and systems review. * Website design and construction. Benchmarking : with our wealth of experience covering a broad spectrum of businesses, we can compare your business against others of a similar nature and size, to ensure that it is performing efficiently, and advise if possible where improvements or savings can be made.